Anything wider than 10" is pretty uncommon. Not impossible - just not normal. Glue it up from a couple of narrower boards and trim it to your desired size. 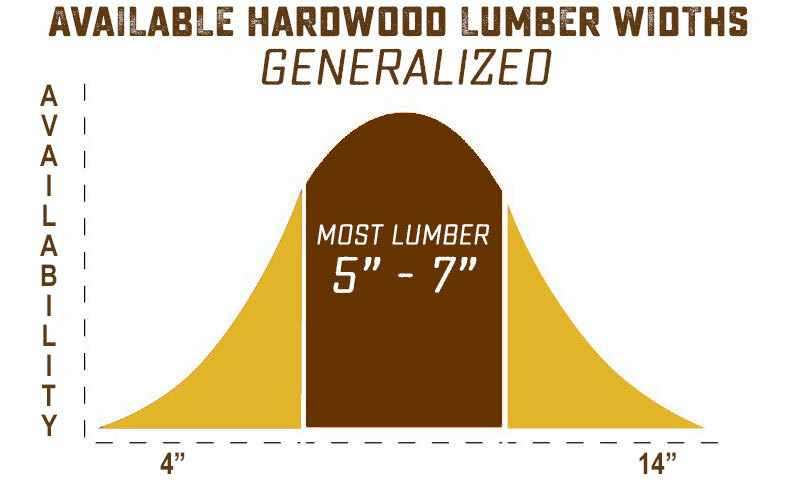 Most of our lumber ranges from 5" to 7" wide, but there are always random exceptions to the rule. Here is a list of a few species that are usually pretty easy to find wider boards. Hardwood lumber is a raw material, and we stock it in raw form. That means it hasn't been processed into specific sizes yet, it's still in random sizes as it came off the tree. In custom woodworking, this kind of random sizing usually okay because you're going to cut and/or join and glue to create the sizes you need for your project. 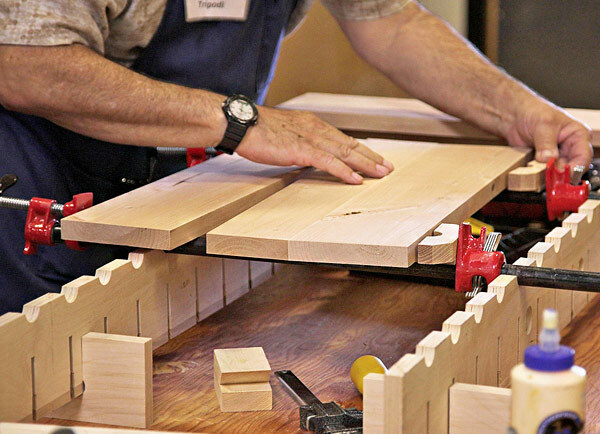 It's perfectly okay to glue narrower boards to create wider ones - and it's the way woodworkers have been doing it for many, many years.